Car owners in Surrey, B.C., have been left counting the costs after their cars were attacked by feral peacocks. For years, residents in the Sullivan Heights neighbourhood have complained about the noise and property damage caused by the feathered vandals during mating season. And now the peacocks are causing mayhem again, inflicting thousands of dollars’ worth of damage to expensive cars parked in the area. The colourful creatures use their sharp beaks and talons to lash out at their reflections - believing them to be be rival peacocks. 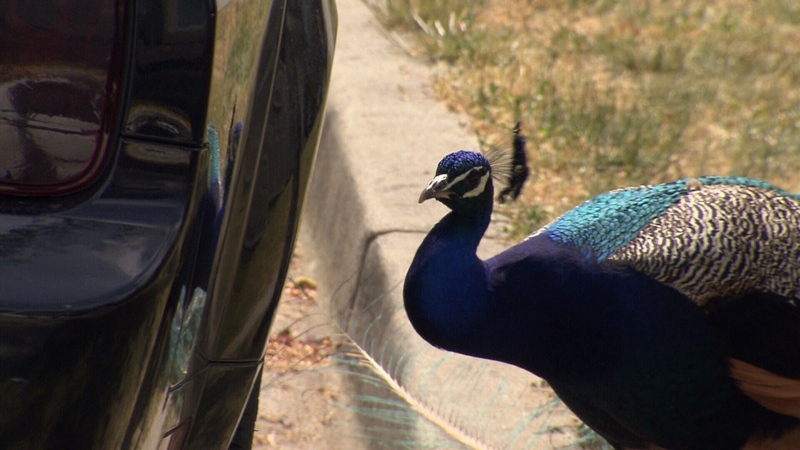 "With the dark-coloured cars, they can see their reflection fairly clearly, so they mistake that as another peacock and have at it," resident Ryan Cragg told CTV Vancouver. He explained that the standoff can sometimes go on for hours. The ongoing issue made headlines last month after a resident grew so tired of the birds’ continued noise, he chopped down a tree they had been using as a nest. Parm Brar copped a $1,000 fine from local authorities for cutting down the tree without a permit, but insisted he has no regrets. 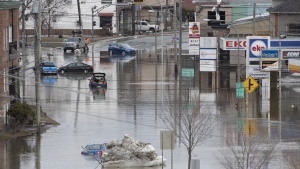 "The last four years, I've tried with the city from every possible angle," he said in May. "Forty-plus peacocks were going up on my roof every night." The peacocks’ mating seasons runs from March to October and their loud shrieking has caused plenty of sleepless nights for locals. "It's like living with a colicky baby from March all the way through to October," Cragg explained. The City of Surrey said it has consulted experts and handed out fines to anyone feeding the birds, but insists its hands are tied when it comes to getting rid of them, because the Wildlife Act doesn’t apply to peacocks. Feral peacocks ruffle feathers in Surrey, B.C.